High performing servers with the latest technology - CW3 provide high speeds and low downtime. Established in 2001, CW3 provides web hosting with Data centers in Los Angeles California. They also offer domain name registration, Web Maintainence, Web Design and Linux Hosting. Their 99.9% uptime guarantee is certainly intriguing, so I dived in deeper to find out more. CW3 boast that their servers are setup using the latest equipment. The equipment is replaced after 5 years, with the aim that you should never have to contact support due to a performance issue. It’s certainly something I’ve not come across before, so it was nice to see something new! 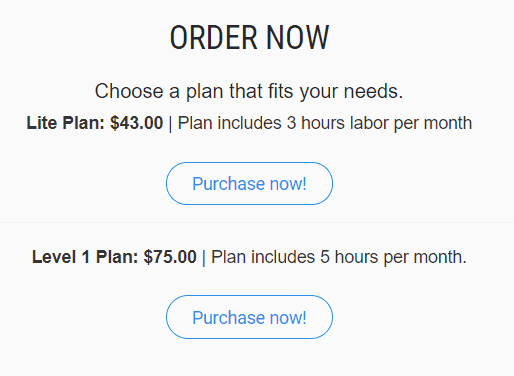 They guarantee a 99.92% uptime with all of their web hosting plans. Pushing the most common 99.9% just over the edge. I think what I like about CW3 is they’ve got a uniqueness that other hosts don’t necessarily have. CW3’s linux shared hosting have 4 different plans, starting from only $2.50 per month. All servers come with Softaculous, a free website builder, daily backups, free restores, free DV SSL and lots more! On first thoughts, the plans do seem fairly limited in terms of their disk space. Even compared to SiteGround who offer a lot less disk space than most, CW3’s plans still come in lower at a higher cost. However, we must remind ourselves that most web page sizes don’t exceed 2-3 MB in size. Unless you have a media (videos, photos, etc.) heavy website, you probably won’t need much more disk space than on offer, but a buffer would be nice I suppose. All of the shared hosting plans have a free domain registration when paying yearly, semi – yearly or quarterly. 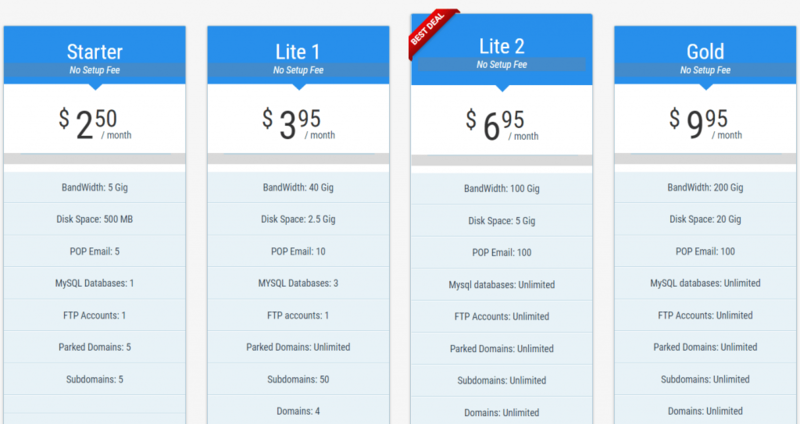 Unlimited domains and subdomains are allowed on the two higher plans. If you’re not entirely sure whether you’ll be satisfied with your chosen plan, you can upgrade or downgrade at any time. CW3 make it easy for you to do this via their integrated billing system. As I touched on earlier, CW3 don’t just offer web hosting. They also provide other services that may be useful for your website. One of these services is web maintenance. They provide solutions that may come in handy – great for users who don’t want the hassle of mundane tasks! CW3 offer an all-in-one solution. You can essentially get your website designed, maintained, and hosted from one place – handy! Their web design services have now been moved over to their own website, but we’re still going to take a peek at what’s on offer. Whether you’re after a new blog on a CMS like WordPress, eCommerce website, PayPal integration, etc. you can pretty much have it! It’s really simple to obtain a design quote from CW3 and they’ll get back to you with all the details. Something which stood out for me was the fact they don’t just offer web design. If your current website needs a refresh, or simply has outdated code, they can update this for you. You won’t have to pay through the roof for a whole new site either which is a bonus. Based in downtown Los Angeles, CW3’s data center provides high-performing technology in order to reduce downtime. Their servers offer constant high speeds using true multi-homed gigabit connectivity with gigabit and/or 10 Gigabit connections. Now, that might seem like mumbo jumbo to most, but it essentially translates to high-speeds, low downtime. When you need a reliable web host, those features are certainly useful to have, and it’s quite interesting to learn about the actual technology used. For other locations across the globe, their one data center may not provide the performance you’re after. However, for U.S. based customers, you’ll certainly notice the difference when it comes to site speed. CW3 are contactable 24/7 via their support system. You can submit a ticket any time of day and receive a response around the clock. Their also available via telephone during certain hours, email, social media, and they have a knowledge base. Their social media channels aren’t very active, but it’s good to know they’re there if you can’t get hold of them through the usual methods of contact. If your server is down for whatever reason, you can view server status via their website, as well as the latest uptime and downtime statistics. CW3’s knowledge base does have a fair few articles, but I’ll be honest, most hosts have a lot more to offer in this area. It would have been nice to see some tutorials, but maybe this is something that could be implemented in the future. I think the approach CW3 has taken is to put their customers first. They recognise people and businesses (small and big) require stability and reliability when it comes to web hosting. They pride themselves on their server technology, and rightly so. They may not offer as many features as other web hosts, but they do provide a complete solution for your website should you want it. From domain names to web design, SSL certificates to web hosting, businesses would really benefit from this approach. If you’re after a personal website or small blog hosted, I’d probably recommend another web host simply based on there being more useful features. However, small to medium-sized businesses would certainly benefit from their reasonably priced hosting plans. Overall, I don’t have much to complain about with CW3. Granted, they didn’t necessarily ‘wow’ me with their features, but they do what they say they’re going to do – provide affordable web hosting with decent uptimes and high speeds.